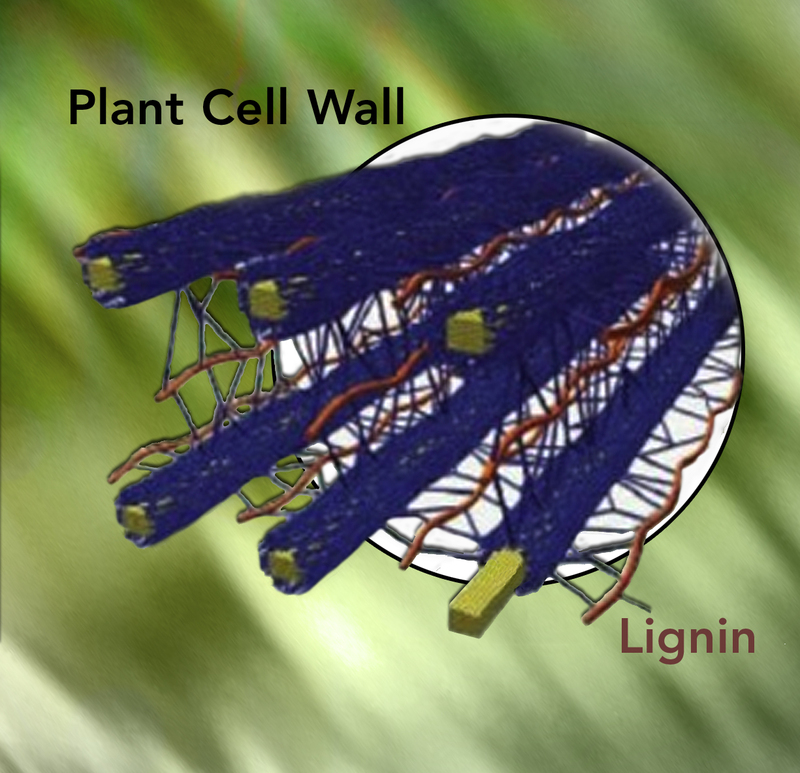 Lignin, the tough woody polymer in the walls of plants, binds and protects cellulose that plants use for energy. Scientists at PNNL are part of a team that showed how a soil bacterium can degrade lignin, increasing its potential for use in biofuels. Results: Biofuels made from plant materials—also known as lignocellulosic biofuels—have promise as a source of sustainable alternative fuels thanks to soil bacterium known as Enterobacter lignolyticus SCF1. SCF1 degrades lignin and decomposes plant cell walls, allowing access to the cellulose sugars that plants use for energy. However, much remains to be learned about the processes and functions of SCF1 in breaking down lignin for use in biofuels. But a study recently published by a team from the University of Massachusetts, the Joint BioEnergy Center, and Pacific Northwest National Laboratory reveals key insights about SCF1, including that it is the first soil bacterium to demonstrate the dual ability to degrade lignin both as a food source and for breathing. Why It Matters: Lignocellulose is a renewable and abundant energy source in sufficient supply in the U.S. to make lignocellulosic biofuels sustainable and economically feasible. Furthermore, lignocellulose is not used for food, so it does not take food out of the supply chain. However, lignocellulose is one of the more difficult biomass materials to break down and transform for biofuel use. This work moves scientists one step farther toward that goal. Methods: Using transcriptomics and proteomic techniques, the scientists observed increased growth of SCF1 grown on media amended with lignin compared to that grown on unamended media. They also observed that SCF1 degraded lignin in the absence of oxygen, improving the plant material's ability to produce biofuel. Additionally, the multi-omics approach provided insights to lignin and its use as a terminal electron acceptor. This study also showed that SCF1 is able to degrade lignin both as food (assimilatory) and for breathing (dissimilatory)—the first soil bacterium to demonstrate this dual capability. What's Next? The researchers plan to grow SCF1 in the presence of bacterial communities adapted to switchgrass as the sole carbon source with and without poorly crystalline iron as an additional terminal electron acceptor. The plan is to do these experiments as a time course to test the hypothesis that iron supplements improved deconstruction of lignin through more or different enzymes. Sponsors: This work was partially funded by the University of Massachusetts, Amherst, and by a user award from the Environmental Molecular Sciences Laboratory (EMSL). This work was also conducted in part by the Joint BioEnergy Institute supported by the U.S. Department of Energy Office of Biological and Environmental Research. Research Team: Kristen M. DeAngelis, Deepak Sharma, and Rebecca Varney, University of Massachusetts Amherst; Blake Simmons, Joint BioEnergy Institute and Sandia National Laboratories; Errol W. (Robby) Robinson, Nancy G. Isern, Lye Meng Markillie, Carrie Nicora, Angela D. Norbeck, Ronald C. Taylor, and Joshua T. Aldrich, all PNNL. Reference: DeAngelis KM, D Sharma, R Varney, BA Simmons, NG Isern, LM Markillie, CD Nicora, AD Norbeck, RC Taylor, JT Aldrich, and EW Robinson. 2013. "Evidence Supporting Dissimilatory and Assimilatory Lignin Degradation in Enterobacter lignolyticus SCF1." Frontiers in Microbiology 4:280.